Pre-order only. Available end of June. 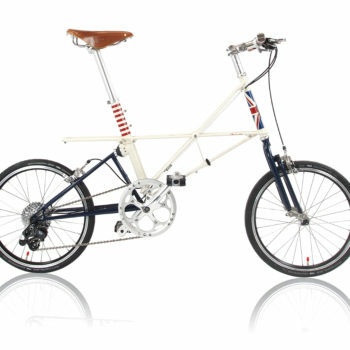 The Moulton “Grand Union” is a special bicycle commissioned by The Traditional Cycle Shop, Stratford-upon-Avon, in conjunction with Moulton’s American Distributor, Belmont Distribution. It takes inspiration from the Royal wedding of Prince Harry and Meghan Markle and celebrates the establishment of a new union. 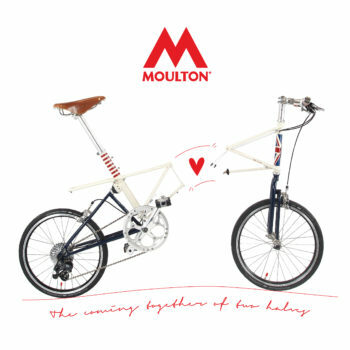 Like most Moulton spaceframe bicycles, the two halves of the bicycle come together to form one unified product of exceptional performance, versatility and durability. The Moulton “Grand Union” is only available for purchase whilst stocks last during 2018. 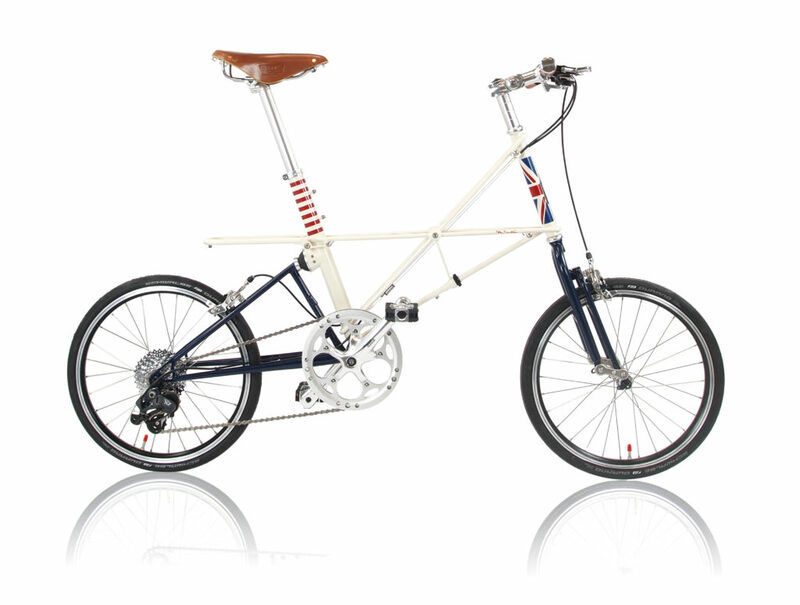 Please note that Moulton bicycles are all handmade in England. This means it can take 4 to 8 weeks for your bicycle to be ready for collection/shipping. On placing your order we will inform you of the anticipated date for collection/shipping. Frame: Columbus Spirit and Reynolds 525 CrMo steels. Fillet brazed construction.